Ever wonder where your luggage goes once you surrender it at the airport? Where that big conveyor belt heads to amidst a labyrinth? How it gets to the right flight? How many people touch it? I go to thinking about it so I decided to research it. First, please indulge the background and the impetus for this story. In 30 years of flying I never thought much about my luggage, to be honest. I am one of both good faith and a belief in contracts. When I purchase a ticket, the airline legally tells me it will take me where I need to be and bring my bags along with me. When I hand over my suitcase in New York, I expect to find it on the baggage carousel in San Francisco, or Detroit or Atlanta or Mexico City or wherever. Once in three decades has that luggage not been at the destination airport, and it was promptly reunited with me the following day. Then, two weeks ago, two things happened. When I returned home from the ASTA Destination Expo in Merida, Mexico I made sure to pack a jacket right at the top of my suitcase. The thought was, when I got to JFK I could go through immigration, grab my bag, go through customs, and pull the jacket out since it would be about a 60-degree difference in temperature in New York from Merida – and the usual 30-minute or more wait in line for a taxi. But at some point in the journey from Merida to Mexico City to New York, somebody put a black zip tie on the zippers of my suitcase and locked it – first time that’s happened to me. The other thing that took place was the story that emerged out of Los Angeles International, where up to 25 people might be involved in a ring of thieves who plucked clothing, jewelry and electronics out of travelers’ suitcases. Yeah. Where do those bags go after check-in? Well, it’s about what you or I expected – it truly is a labyrinth. Once the luggage is placed on the conveyor belt and slips past the black rubber flaps into the darkness, it begins an elaborate journey from counter check-in to aircraft. After getting tagged to the final destination, the luggage is placed on the baggage conveyor belt – a system that American Airlines notes is up to 13 miles long into the bowels of some airports such as American’s hub in Dallas. The workers then sort the luggage on the ground, load it on to a cart, and drive it to the right gate and jetway on the tarmac. Using a hand-held computer called RampLink, workers scan the barcode and upload the information so that the bag can be tracked at any moment by anyone at the airline. The bag goes into weights and balances before being loaded on to the aircraft so that workers know how to load the baggage hold. It’s like a puzzle – placing certain bags here, certain bags there so that the load weight balances out on the aircraft cargo area. With the human element involved, obviously there is a chance for mistakes, misplaced luggage, even mishandled luggage. Last year, 22 million bags were lost. Sounds like a lot, right? It actually isn’t. More than 2 billion people worldwide take at least one flight every year. 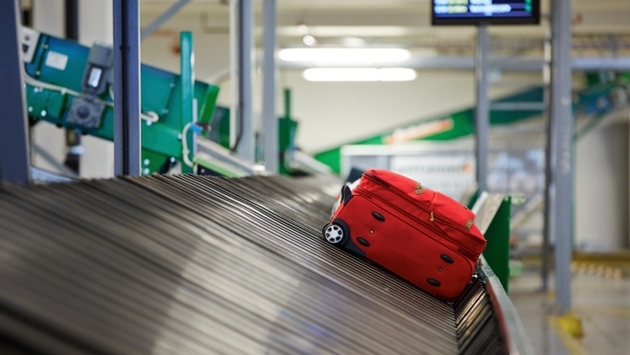 SITA, an information technology company that works with airlines, puts out an annual report on mishandled bags and the number has been dropping for years. In 2007, airlines mishandled 18.88 bag for every 1,000 passengers. By 2011 that number was down to 8.99 for every 1,000 passengers. In 2012 it was 8.83. Last year? 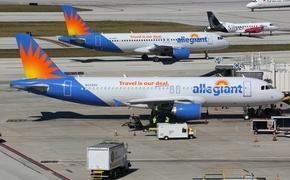 A drop of more than 21 percent to 6.96 mishandled bags for every 1,000 passengers. That’s 7/10ths of 1 percent, an astonishingly accurate rate. Moreover, 90 percent of lost/delayed bags were returned to passengers within 24 hours. So, where does that bag go once it leaves your hands? Right back to you.